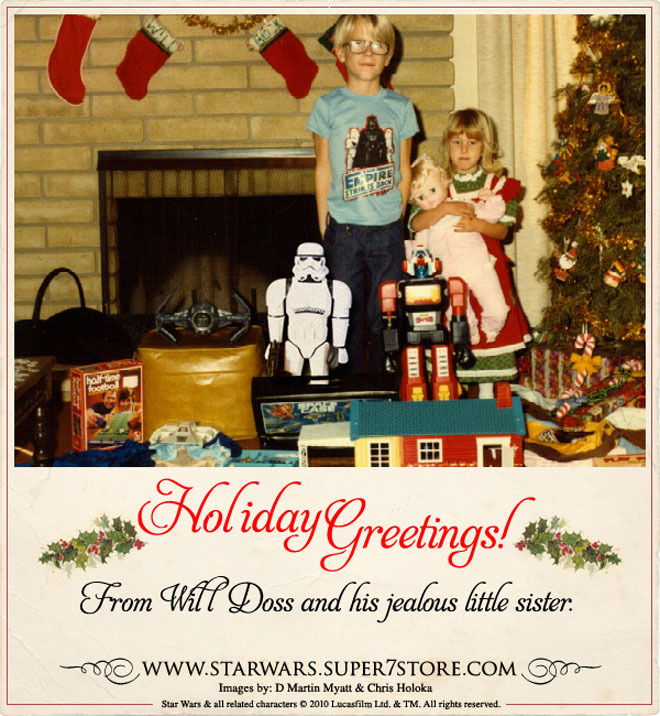 1978 XMAS ON ALTERNATE EARTH! WIRED just published a portfolio of images of a holiday past ….. which never existed! In the late 70s, our favorite toys were STAR WARS action figures and the Japanese giant robot toy series called THE SHOGUN WARRIORS. It is a dream-come-true for us at Super7 to mash up these two concepts into one awesome figure, but at the same time, it is frustrating to know that somewhere on a parallel Earth or mirror dimension, someone stepped on a butterfly and the course of history played out differently than it did on our planet. On that alternate Earth, kids actually were able to wake up on December 25th and find the STORMTROOPER SUPER SHOGUN waiting to be unwrapped under their tree. This portfolio of images captures history that never occurred…but should have! Although we do not have access to a time machine, we do have access to numerous talented artists. 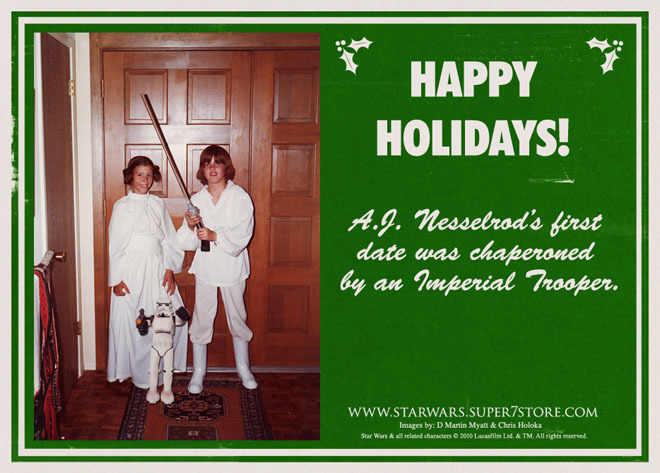 Not only talented artists, but also like-minded, and easily able to envision what it would have been like to behold a two-foot tall STORMTROOPER-bot awaiting them on Christmas 1978. The first person we reached out to was D. Martin Myatt to coordinate the photography. 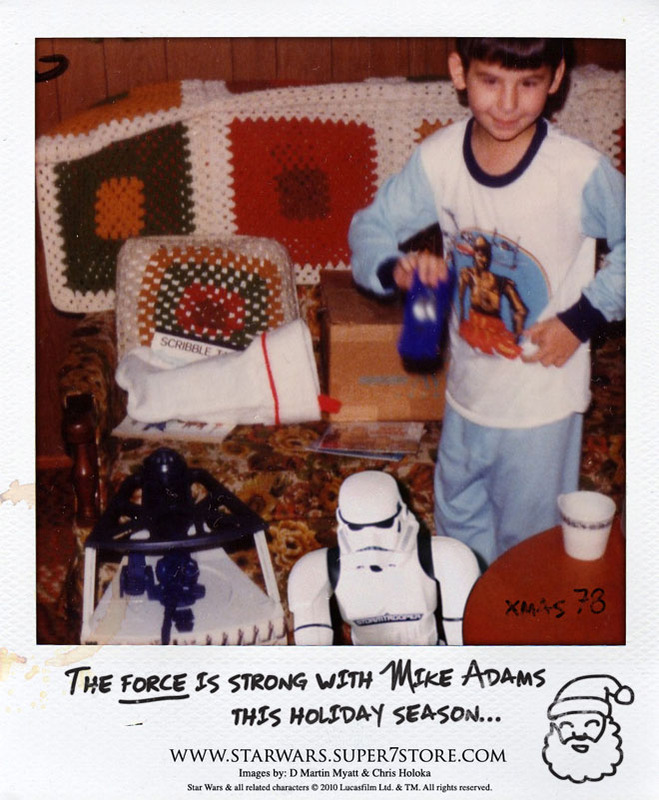 Through his position at the STAR WARS toy collector site RebelScum.com, he was able to solicit fans to donate actual photos of themselves from the late 70s and early 80s holding STAR WARS toys. In fact, the names you see used on the final images are the actual names of the people featured in the pics. Myatt photographed our SUPER SHOGUN at the appropriate angle and lighting to match the original image, and then the separate photos were then composted, tweaked, and aged in photoshop by the wizard Chris Holoka. Our own design firm Hybrid-Design finished off the amazing images by adding the borders and text to create the final, lasting memory of a holiday that never happened. Check out all 14 images over at WIRED!